One of the few (maybe only) things I miss from my Windows days, was the abilty to right-click a window in Explorer and select 'Open Command Window Here'. 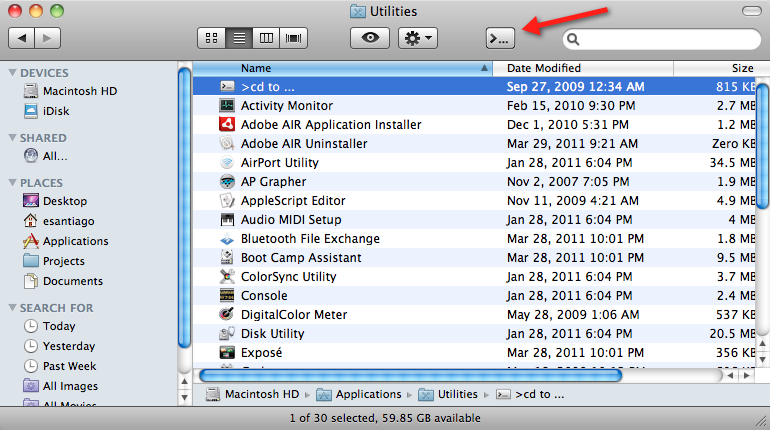 Mac's Finder doesn't has a similar function, which is a bit of a pain when I want to run ANT (aka Force.com Migration Tool ) to quickly get code in/out of a Salesforce org. In the past, I used Automator and a Applescript to do this. But, recently I found a nice toolbar shortcut, called CdTo, that does this with one click. 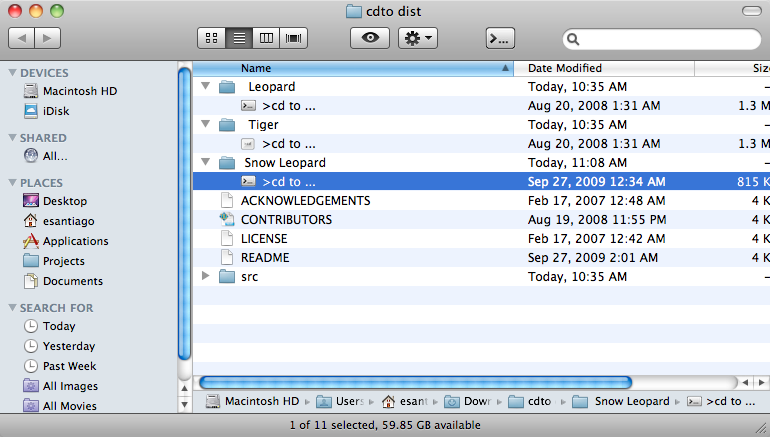 Drag and drop the CdTo app to the Finder toolbar. Now you see a new icon on the Finder window. 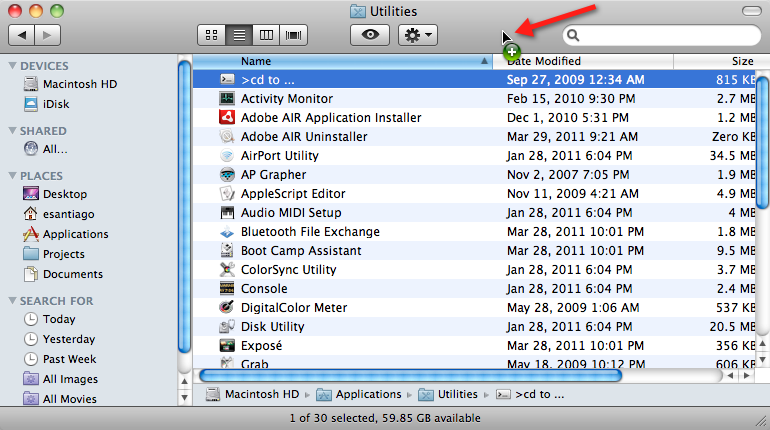 From now on you can click that to open the current Finder folder in Terminal.